Since joining the Society I’ve been continually impressed with the range of expertise our members have across so many areas. Strong, successful professional bodies embrace and harness the expertise of their members in order to move their profession to greater visibility and influence. As we change and improve your Society over the next year, I’m keen to involve BPS members in all aspects of our work, putting you at the heart of our transformation. Our Society simply couldn’t function without the contribution members make to the running of the organisation. In order to operate effectively the Society needs experienced and passionate members to input into all our work, particularly through the many vital posts across our committees and boards. We are currently seeking nominations and interest for a range of posts including the President Elect, Chair of Public Policy Board and Chair of Education and Training Board. These are important and exciting posts that will enable you to influence how the Society develops and how it achieves impact in the wider world. Please do consider applying for these pivotal posts within the organisation. 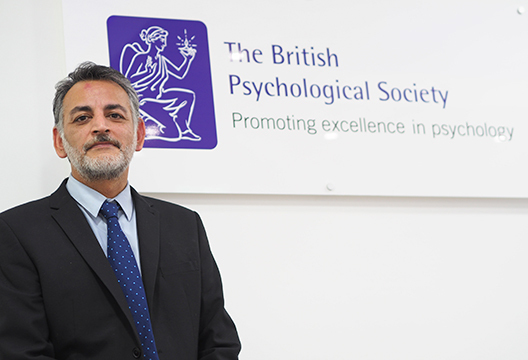 This year we are undertaking our largest ever survey of the entire BPS membership, with the help of the Institute for Employment Studies (IES), a leading independent research centre with extensive experience of supporting membership organisations. Importantly, the team from IES are being led by Chartered Psychologists and BPS members who understand the issues facing you all in your daily lives. The survey, which will be launched in the Spring, is our opportunity to gather influential data to support what so many of you have told me about your current issues and concerns such as increased workloads and the increasing mismatch between service users’ needs and psychologists’ capacity. I know that there have been other BPS surveys in recent years, but there has been no centrally organised data collection or dissemination about the profession as a whole, nor the current challenges and opportunities facing working psychologists and psychologists-in-training in the education system. The results will mean we have a solid evidence base to back up calls for improvements across services for the public as well as working conditions for psychologists. Making sure the Society becomes a truly membership-led organisation is my top priority for 2019 and I look forward to making sure this happens by working in partnership with you. Please do get in touch.